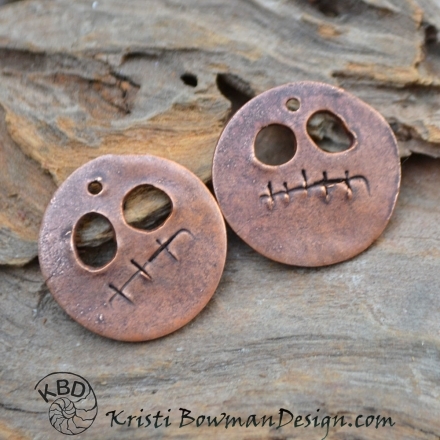 It has just been over a month since I shared the newest handmade jewelry in my Indiemade shop. I usually try to share once every two weeks. 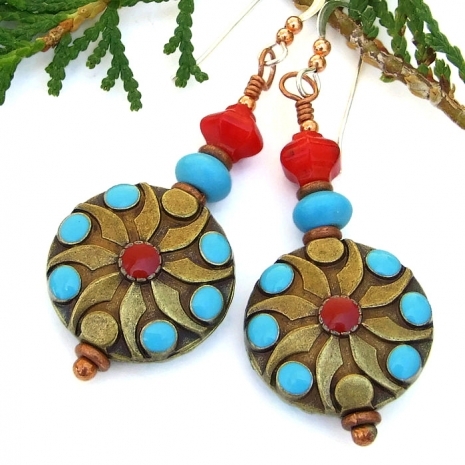 But between traveling and getting ready for my first big show of the season (Labor Day weekend), I finally found time today to share my newest earrings and necklaces, all handmade, many with a boho flair and all one of a kind creations. If something catches your eye, please click the photo or the link below for more information and pictures. I hope you enjoy each and every one as much as I enjoyed creating them. 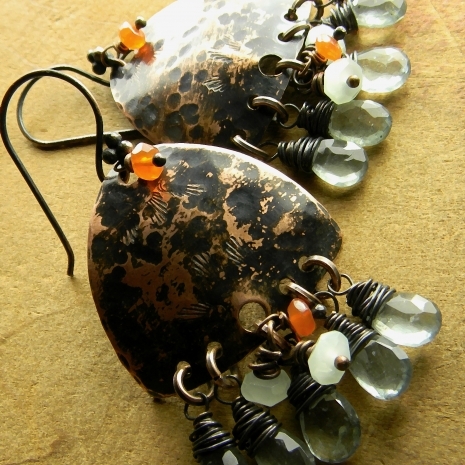 The Muses have been active - lots of new jewelry, most with a fun, boho flair, have been created recently. Now all I have to do is to photograph them and get them listed. Easier said than done! 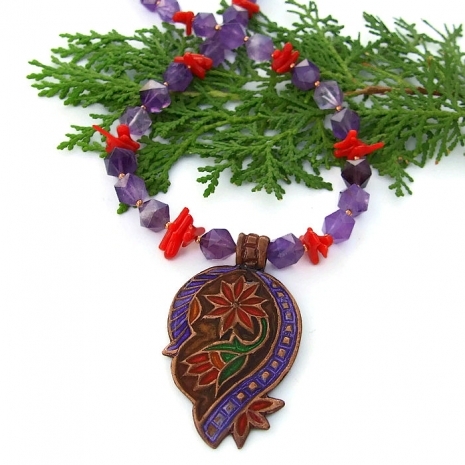 The newest necklaces and pairs of earrings listings are featured below. 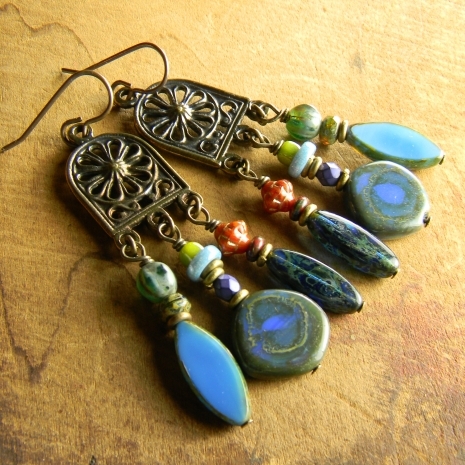 And, to round out the number of jewelry shares to ten, three oldies but goodies that are patiently waiting for a new home can be found at the end. I am not by nature a superstitious person, but I have a real affinity for the number 3 (even more for 33). For centuries, it has been revered as a lucky number. I also knew it had many, many religious connotations, such as the Holy Trinity (Father, Son and Holy Spirit) in the Christian faith - St. Patrick used a shamrock to teach about the Holy Trinity. It also describes the three attributes of God: omniscience, omnipresence, and omnipotence. In Hinduism, the number 3 represents the three gods: Brahma, the creator; Vishnu, the preserver; and Shiva, the destroyer. The number 3 is very important in Buddhism and represents: the Buddha, the historical Buddha Shakyamuni; the Dharma, the Buddhist body of teachings; and, the Sangha, the people who follow the teaching of the Buddha. Halloween and Day of the Dead festivities will soon be upon us. 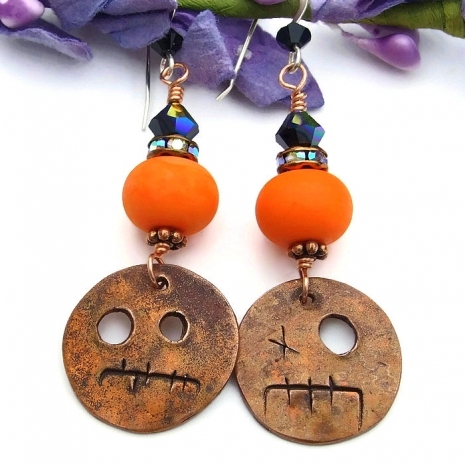 To help you celebrate, I have been stocking my Shadow Dog designs Indiemade shop with spooky handmade skull earrings of various types. 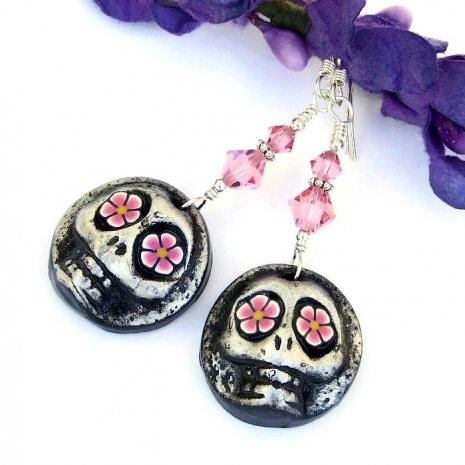 Recently, glass sugar skull beads from the Czech Republic have appeared in a myriad of colors - such fun to work with! 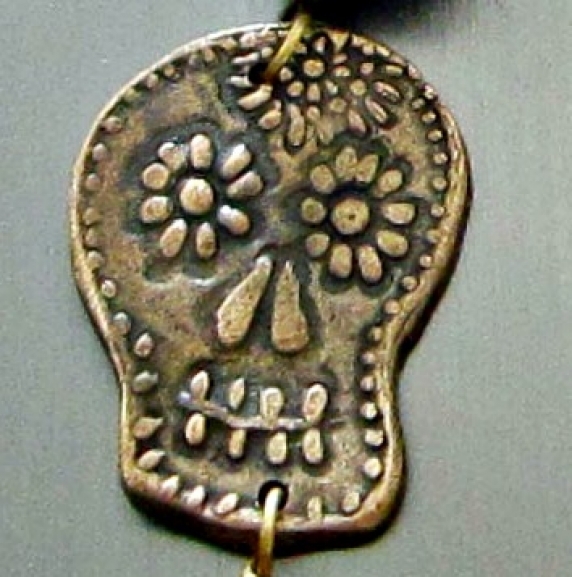 And I'm always on the lookout for new, fun skull designs to make into one of a kind jewelry, perfect to enhance your costume . . . or everyday wear! "Funky can be a mixture of thrift store and name brand, lace and leather, a simple gold bracelet and a huge plastic pink one, matching or unmatching, a ton of jewelry or none, classy and trashy. Being funky is about taking risks, and not being afraid to get a stare or two from people who wish they could be as funky as you . . . funky is never about boring."